The Raspberry Pi foundation has just released a long blog post announcing a Raspberry Pi touchscreen, available from $60 + local taxes. 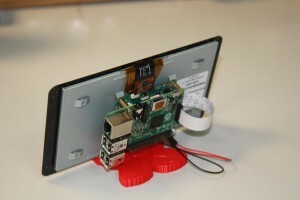 The screen is connected using DSI/DSP, meaning that the final connector on the Pi finally has a use. The blog post is an interesting read, showing all the design decisions that have gone into this – and all the issues that the team encountered trying to produce this at an attractive price. The screen sports 24 bits colour depth at a 800×480 pixels at 60Hz. 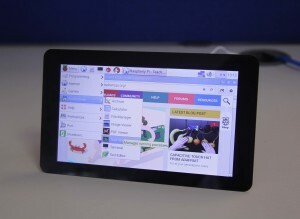 It also provides a ten point capacities touchscreen.